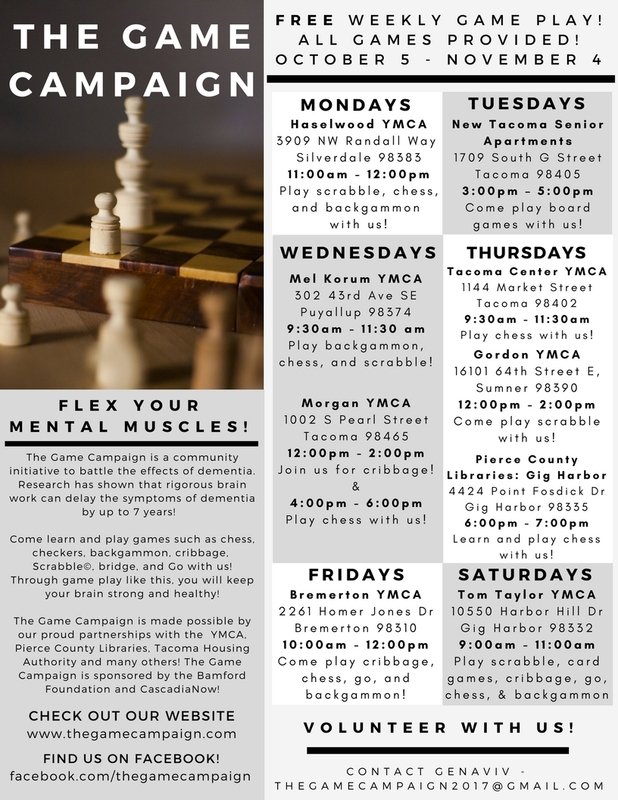 Play Games for Brain Health with The Game Campaign, Bremerton — CascadiaNow! Join The Game Campaign, a project of CascadiaNow!, for a morning of mind-stimulating cribbage, chess, go, and backgammon game play! Research has shown that rigorous brain work can delay the symptoms of dementia by up to seven years! Through game play like this, you will keep your brain strong and healthy!